Practice makes perfect with Callaway 9-Pack HX™ Practice Golf Balls. Callaway's unique patented HEX dimple pattern simulates actual ball flight at reduced distances. 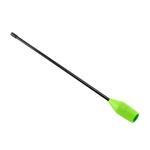 Soft foam construction safe to use anywhere - won't damage clubs or property. Includes mesh bag for easy storage and portability. Also great for baseball soft toss. Available in multiple colors and sizes. 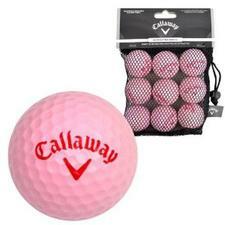 If you have any more questions about the Callaway Golf HX Soft Flight Pink Practice Golf Balls (9 Pak - Pink Golf Balls); do not see the model you are looking for; need custom options; or prefer to not purchase online, then please call us at (630) 656-1291.